Tired of sending your bland resume and not getting any response? Fret no more. 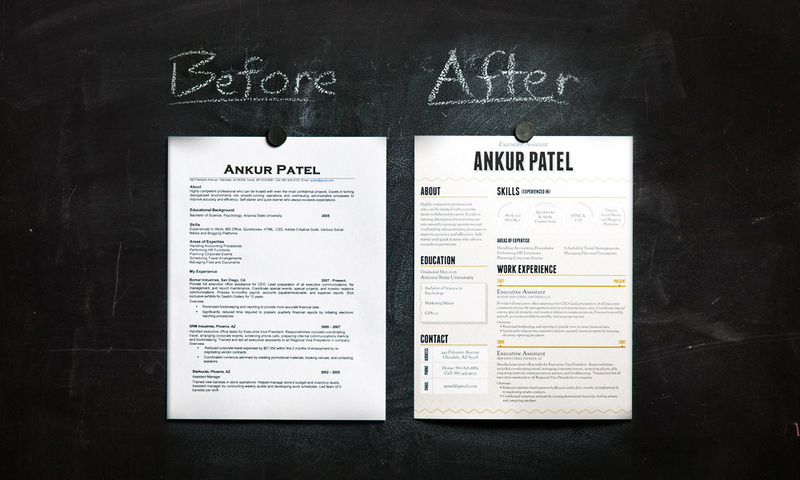 Take a moment to review these tips and tricks that will turn your resume into a job-getter. Make sure you associate your qualifications with the needs of the recruiter and the employer. This way, you can make sure that your resume is impressive for the employer. As you review the job posting, zero in on what they are looking for and take note of the qualifications that you include in your resume to match their needs. An executive summary describes both your objective and key selling points. It is similar to an objective. The only difference is that the executive summary is a little bit longer as compared to the objective. Instead of simply stating that you are seeking for a specific position in your objective, why not state in your executive summary that you are a graduate of the Harvard University with experiences as a business man who now seeks to showcase business administration talents in an executive position at XYZ Corporation. You may be too proud to of jotting down every job you have held in recent years. However, if you have long gaps in between your jobs, let’s say you were laid off three years ago and took a six-month part time job to make ends meet, you need not to mention it unless it is relevant to the position you are applying for. It is an important detail in your resume to emphasize your accomplishments. It is important to discuss your accomplishments in action phrases, not by simply what you were responsible for. Show that you are not only given a task, but you got it done exceeding the expectations. Same goes for your education, it is expected that you include the school you attend, year you graduated, and degree you have earned. On the other hand, there is nothing wrong with mentioning your academic projects, advanced coursework, and some activities that are relevant to the position you are applying for. Also, including the honors you have received during your study is not a bad idea. A great way to make your resume attractive to the eyes of an employer is to make sure that there are plenty of white spaces in your resume. Make use of the bullets and numbering provided by your word processor to make reading easier. This is definitely a plus factor. There is nothing worse than trying to search for relevant information in a cluttered resume. Put your most important points forward. Most resumes are not read in its entirety before being thrown into one or two piles. So make sure what is most impressive comes first in each section. Does your name stand out? Are section headings easily distinguished? Do they compliment the body text? Is the text crisp, dark, free of streaking, of uniform weight and professional quality? Are all alignments perfectly straight? Are there missing and extra spaces between words or sentences? Are there any large blank areas in the page? Are the text centered horizontally and vertically? Are the fonts simple and readable? Is the overall makeover you created pleasing to the eye? Is it perfect in every way? If not, consider revising. Always remember that your resume could either make, or break your chances of snagging the job you want. Be innovative. Be creative. Be professional. If you have a hard time making your own resume, seek TeamResumePros’ expert writing service. Visit our web site or contact 1 (844) 993-3841 for more details.